Oh hello 3rd Halloween post with still one more to come! 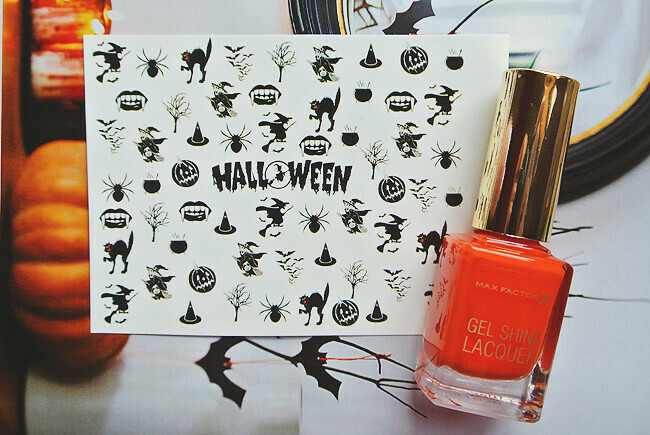 This one is all about Halloween nails, which are super easy and cheap to do. I'm not dressing up this year (sad sad times) but i want to have a little nod to my favourite night of the year so I've decided to give myself some themed nails for the big night. I featured these decals in my wishlist post and purchased them straight away, they arrived within 2 days and i knew the perfect shade to go with these would be Vivid Vermillion by Max Factor. Obviously this is just a test run, as much as i love Halloween i'm not rocking these at the moment but i wanted to show you so you have enough time to snap some up too! These gel polishes are awesome by the way, incredibly long lasting and chip free! I've been rocking Sheen Merlot this month. There's currently a 3 for 2 offer on Max Factor products at the mo too, go go go! These are so cute! I've noticed that people are trading in costumes and just doing nails. I think I'll do that next year since I already barely do costumes anyway. It's just not my thing. 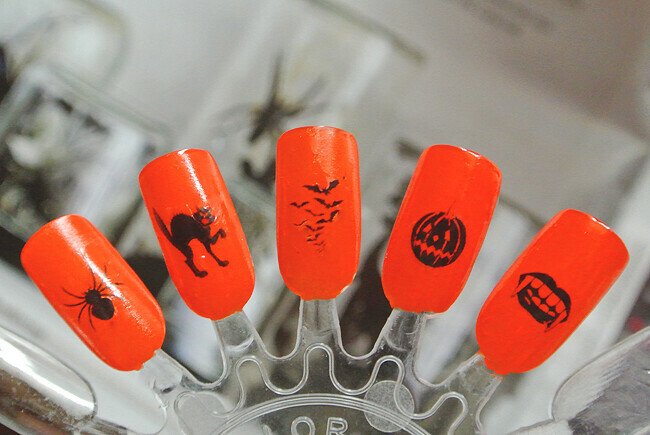 Cute nails, though, sounds like something I could totally do. These are gorgeous! 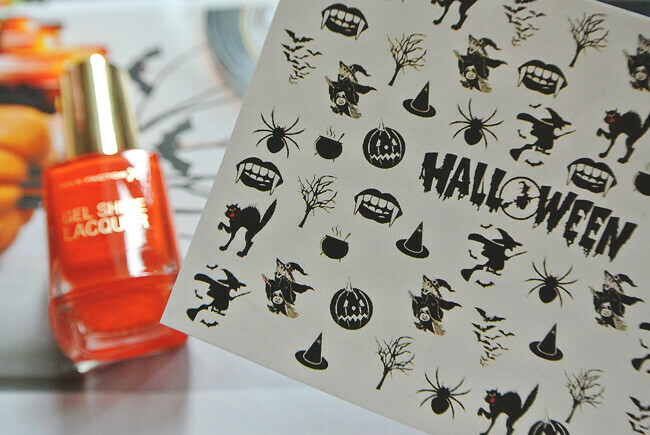 I love decals, so cute!